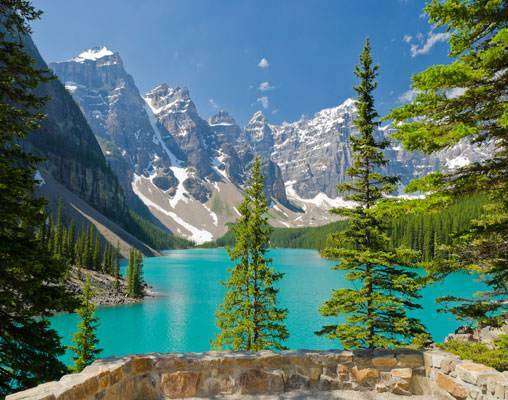 One of the newest tours through the Canadian Rockies, this 7-day journey through Canada puts gorgeous scenery at every turn. 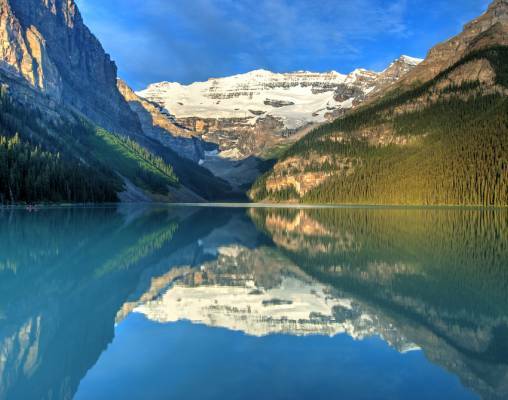 The tour begins with two days of sightseeing in Vancouver, and then we board the Rocky Mountaineer for two days of daylight-only travel alongside rivers, canyons, and forests to the beautiful destination of Lake Louise. From here, the journey continues through mountains to the resort town of Banff, which is renowned for its variety of outdoor attractions and activities and its charming downtown area. Ride the gondola to the top of Sulphur Mountain, visit the hot springs and shop the boutiques over the course of two days before the tour concludes with a transfer to Calgary. Arrive in cosmopolitan Vancouver and transfer on your own to your hotel with the remainder of the day at your leisure to begin to explore the city known as the Gateway to the Rockies. Overnight Vancouver. 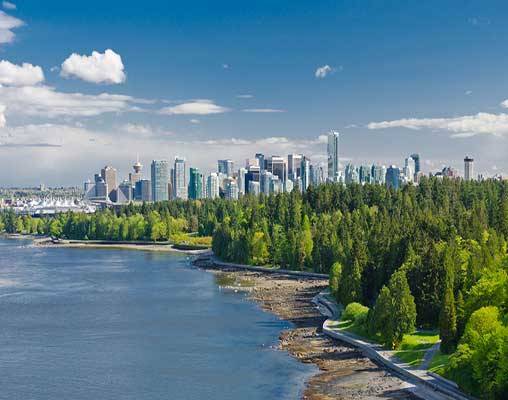 Hop on a Vancouver trolley for your step-on, step-off tour of the city. See all the sights at your own pace as you make a loop of the city, stopping at 30 of Vancouver's attractions including Gastown, Granville Island, Stanley Park, Dr. Sun Yat-Sen Garden, English Bay, and the shops and restaurants along Robson Street. Learn about the city and its popular sights and landmarks, hopping off to better explore the ones that peak your interest. Also included is access to Lookout Tower, located at the top of Harbour Centre, for expansive views of the city. Overnight Vancouver. After a leisurely start to your day, board a coach for your scenic transfer to Banff. If time remains after checking into your hotel, you may wish to begin to explore the town, stopping in some of the shops or enjoying some regional cuisine at a local restaurant. Overnight Banff. 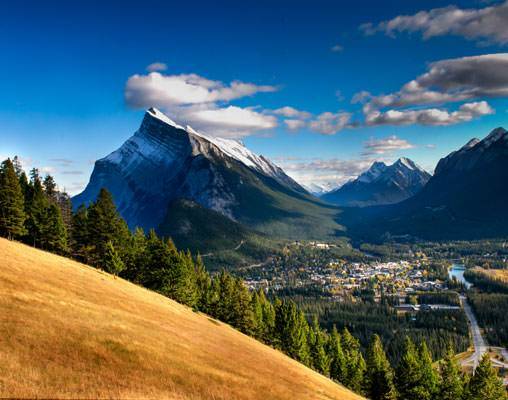 Today's sightseeing tour takes you through towering mountains, hoodoos and Cave & Basin National Historic Site, home to the hot springs that make Banff famous. Next, board the Banff Gondola for the 8-minute ride to the top of Sulphur Mountain, where 360-degree panoramic views of the Bow Valley await you. The remainder of the day is at your leisure. Shop, visit the hot springs, and get back to nature as you explore Canada's first National Park. Overnight Banff. Your journey through the Canadian Rockies ends today with your transfer to the Calgary Airport for your flight home. 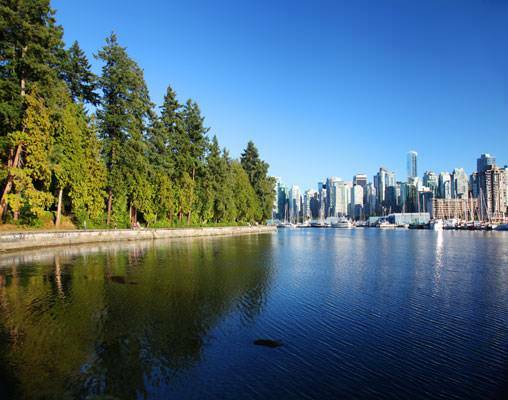 Hotels include the Sheraton Vancouver Wall Centre, Post Hotel, and Rimrock Resort Hotel. 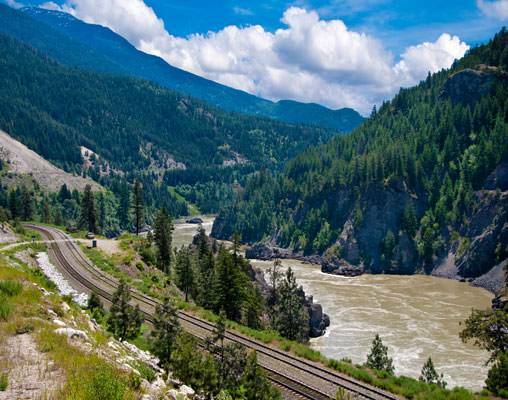 Bask in the breathtaking scenery of the Canadian Rockies through the panoramic windows of the custom-designed single-level dome coach in Rocky Mountaineer's SilverLeaf Service. Hotels include Fairmont Hotel Vancouver, Fairmont Chateau Lake Louise and Fairmont Banff Springs. 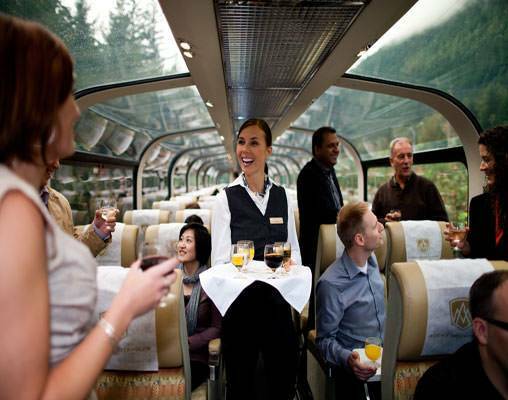 Travel first-class aboard Rocky Mountaineer’s GoldLeaf Service. A custom-designed bi-level dome coach puts travelers right in the middle of the awe-inspiring scenery of the Canadian Rockies as they enjoy gourmet meals prepared by onboard chefs. Click here to view testimonials for Canadian Rockies Featuring Banff & Lake Louise. Every detail was planned in advance and well communicated. Everything came off without a hitch! The train trip through the Rockies was incredible and exceeded all expectations. Your services on the train were fabulous. The food was incredible. The hostesses and hosts on the train were lovely. I only wish I had taken another day to go to Jasper.It was a lovely way for us to spend our 40th anniversary! $2,659 Please call for availability. $3,157 Please call for availability. $3,641 Please call for availability. $4,319 Please call for availability. Enter your details below if you would like to be notified when 2021 dates and prices are available for Canadian Rockies Featuring Banff & Lake Louise. Hotel and Rail accommodations listed above, are subject to change based on availability at the time of booking. Prices are land-only, per person based on double occupancy. Prices are correct at the time this web page is published; however are subject to change. Taxes are not included on rail portions and are subject to change. Westbound itineraries are available; dates of departure will differ.